This book has been written for an eclectic audience of winery developers (owners), winemakers with utility responsibilities (real or implied), winery design professionals (architects and engineers), and university-level enol- ogy professors, all of whom at sometime in their careers must address the subject of winery site utilities as a distinct and important element of their jobs. Wine and other fermented beverages in one form or another are pro- duced commercially in almost all temperate zones of the world. Utility requirements for wineries, which use grapes as the fermentable sugar source, are the focus of this reference book, although similarities in fun- damental production processes for other subdivisions of the fermented beverage industry may find useful reference information in the chapters which follow. Wine production methods may differ somewhat from country to coun- try, but the sizing, need for reliability, ease of operation, and cost-effec- tiveness of water, wastewater, electrical, fire protection, and other support systems remain nearly universally constant. 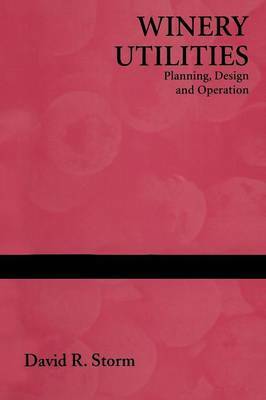 Of necessity, the author's past planning and design experience with nearly 60 winery utility systems, will xi xii Preface emphasize contemporary design fundamentals related to the U.S. wine industry. However, where possible, opportunities will be taken to relate American practice to, for example, European, Australian, and South Amer- ican wine industries where discrete differences in utility systems have been observed by the author or discovered in the literature research that was part of the production effort for this volume.